Serving-up Brazilian-style barbecue, with an equally Brazilian style of service (know as rodízio), B’Churrasco has officially opened-up in Adelaide’s East End. While we weren’t entirely uncultured when it came to the colourful cuisines of South America (thanks to some of Adelaide’s Argentinian eateries), a move further north of the continent, all the way up to Brazil, brings obvious excitement. Located at a familiar site, a space which once was the beloved PJ O’Brien’s, the newcomer introduces us to the dining rituals and plentiful portions of Brazil. Although it’s not quite the self-service set-up of a lunchtime buffet restaurant in Rio, the chefs here circulate around each table and carve-off as much meat as is desired. The sophisticated, all-you-can-eat experience allows guests to decide when they’ve well and truly had enough, giving them the option to tap out and accept defeat by turning their individual table lights to red whenever they see fit. The cost of weekend dining comes in at about $56 per head, with the price for Wednesday and Thursday evenings sitting at around $45. This includes additional sides, like garlic bread, salad and even banana fritters, to keep you going as you progress through 12 courses of mouthwatering meats. In keeping with all things Brazil, the country’s cocktail of choice, Caipirinha, is also on the menu. The sweet and citrusy beverage, made-up of lime, sugar and Cachaça (a native liquor made from sugar cane) is a refreshing way to kick things off. 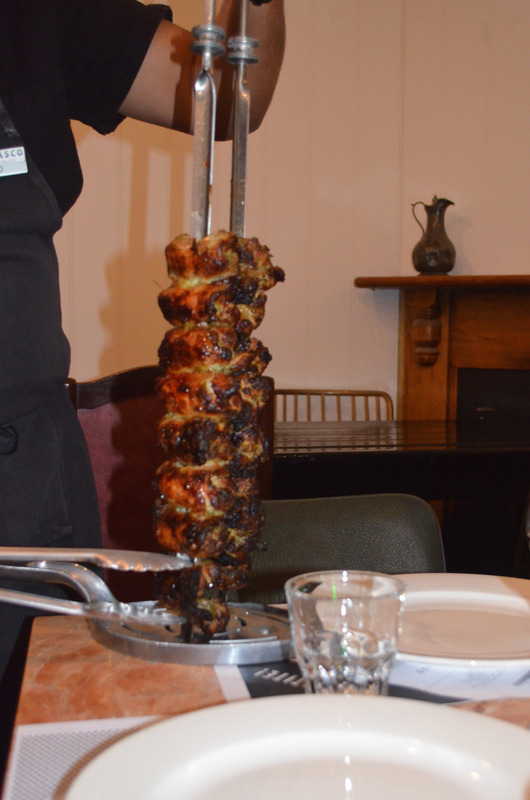 The move to open a second Churrascaria in SA also came about following the successes of the mother restaurant in Melbourne. A thriving establishment since 2013, parts of their team have decided to migrate to Adelaide and merge their exotic cooking methods with our premium produce. 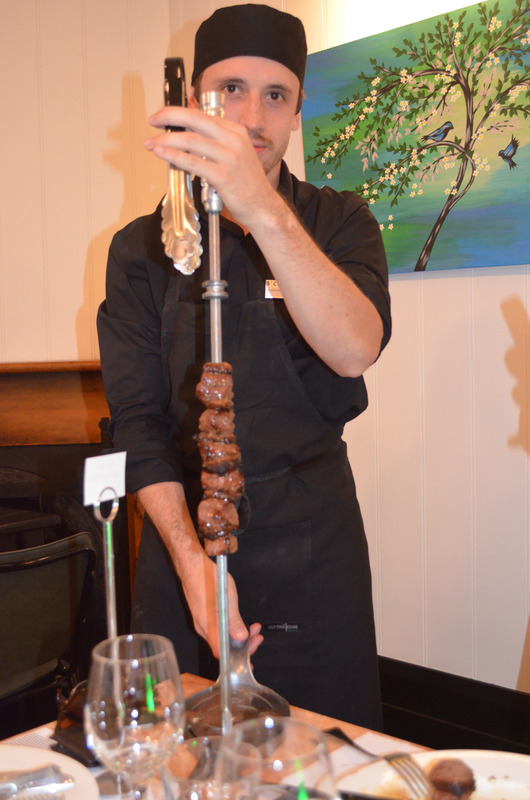 After visiting B’Churrasco, we can only assume Brazilians like to eat and to do it well. For those seeking a state of total (and maybe even gluttonous) satisfaction, this place is worth paying a visit to. The restaurant is located on 10-12 East Terrace, and open for dinner from Wednesday, through to Sunday. For further information or to book a table, contact them on 8232 5111 or visit their website.